One thing that has been driven home to me over the past two years is that salmon have evolved some interesting migratory patterns and behaviors to make the best use of the streams and estuaries where they begin to grow. For example, some chinook salmon leave the streams soon after they emerge from the gravel. These young fish are called “fry migrants.” Other chinook stay around, taking advantage of food in the stream, until they leave at a larger size. They are called “parr migrants.” A few other chinook may stay in the stream for a year or more before migration. This kind of behavioral diversity gives the population a better chance of survival. In the natural world, weather patterns may set up more favorable conditions in freshwater one year and in estuaries the next. In terms of human damage, some streams are in better shape than their estuaries, but the opposite is the case for other streams. In a previous series of articles about salmon, I asked the question, “Are we making progress on salmon recovery?” See Encyclopedia of Puget Sound, Aug. 4, 2017. 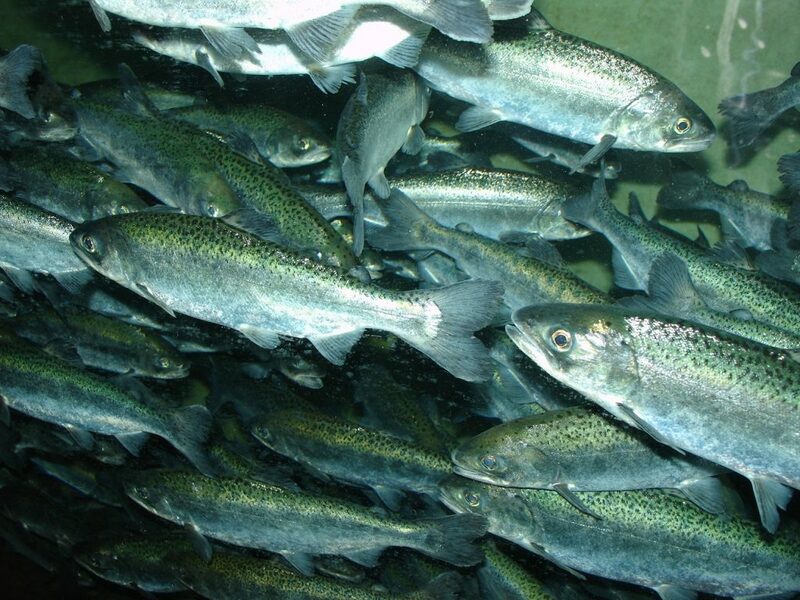 The question involves whether we have managed to improve freshwater habitat for salmon. If we have, then why aren’t more adults coming back to spawn? It’s an open question, yet experts say they are zeroing in on an answer. It has not been easy for me to wrap my head around these complex issues of salmon survival, but I hope that readers can gain some understanding from my writing. One takeaway is to realize that the needs for one salmon population may differ from the needs of another, as much as one stream and its estuary may differ from another in size, shape, flow, chemistry and vegetation. More than anything, I hope that people who find themselves stuck on simple answers — “just stop the net fishing” or “kill the seals” — can examine the multiple effects of various actions or at least consider that any one action will create ripple effects through the ecosystem. We can always spend more money to work on this problem of salmon recovery, and nobody wants salmon to go extinct. But, whatever amount of money we spend, it is important to think both short-term and long-term and to identify efforts that can make a significant difference for the salmon struggling to survive.